Endoscopic submucosal dissection (ESD) has gained worldwide acceptance as a treatment for early gastrointestinal cancers (EGICs). However, the management of these tumors in the Western world is still mainly surgical. Our aim was to evaluate the safety and feasibility of ESD at a European center. Based on the knowledge transferred by one of the most experienced Japanese institutions, we conducted a pilot study on 25 consecutive patients with EGICs located in the esophagus (n = 3), stomach (n = 7), duodenum (n = 1), and colon (n = 14) at our tertiary center over a 2-year-period. The main outcome measurements were complete (R0) resection, as well as en-bloc resection and the management of complications. The R0 and en-bloc resection rates were 100% and 84%, respectively. There were three cases of bleeding and five cases of perforation. With a median follow up of 18 months, two recurrences were observed. 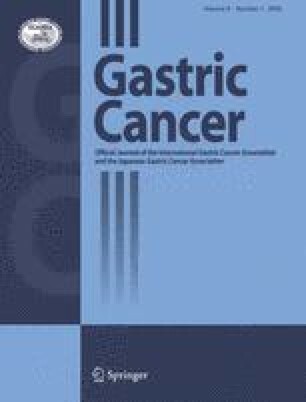 We conclude that ESD for early esophageal and gastric cancers is feasible and effective, while colonic ESD requires more expertise.